Amidst the Rwandan genocide, a hotel manager gives refuge to about 1000 of his countrymen, women and children included, and ends up saving their lives. I could not stop crying during this movie; I just couldn’t believe the Western world seemed so unmoved and oblivious to the suffering and massacre of thousands of people! If you are looking for a fun movie, then pass over this one, but if you’re willing to get a deeper look at contemporary conflicts around the world, then this movie is worth seen! This is by far, Don Cheadle’s best performance ever. Blood Diamond is the term coined to identify a diamond extracted in conflict zones such as Sierra Leone, where even children are recruited as instruments of war. Refusing to participate in such activities may cost someone their limbs or even their lives. This is the topic of this movie in which a fisherman (Djimon Hounsou) stumbles upon a giant gem and hides it away to buy his and his family’s safe passage out of the war-ridden country. 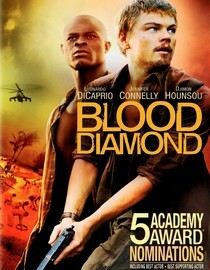 He joins a diamond smuggler (Leonardo DiCaprio), who promises to reunite him with his family in exchange for the diamond. This film may be commercial but it seems like a serious attempt to explore such a controversial topic. The great demands of Western countries have often times violent repercussions in other parts of the world. Not to be missed! 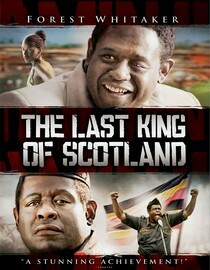 This film tells the story of Ugandan dictator Idi Amin (Forrest Whitaker in an Academy Award role), from his rise to power, to the daily nitty gritty that earned him a reputation as a brutal man. The movie explores his relationship with his Scottish personal physician, a young man who unknowingly becomes an accomplice of Amin’s whims and ultimately ends up risking his life in order to break free. This motion picture takes Whitaker to another level, he WAS Idi Amin. His performance is nothing short of brilliant! 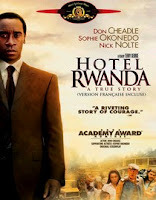 This is another movie about the Rwandan genocide, but different from Hotel Rwanda in some ways. 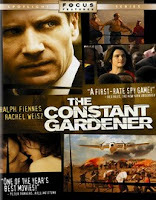 The events are alike because it is the same conflict, but this film revolves around a Catholic priest and a British school teacher who, facing the atrocities of war around them and without foreign help, are faced with the choices of leaving Rwanda for good or continuing with their mission despite the surrounding chaos. If you liked Hotel Rwanda, you’ll appreciate this movie! 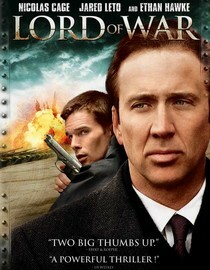 This is one of my favorite Nicholas Cage’s movies; the humor is dark but it’s undeniably present all along. This film is about a prominent arms dealer (Nic Cage), who made his fortune selling modernized weapons around the globe, but mostly in war prompt countries such as those located in the African continent. His frequent close encounters with a dedicated Interpol agent, make him consider retirement. When his wife is murdered in Africa, Justin Quayle, a British citizen, must come out of his cocooned life and investigate what happened to her, but higher forces at work will do anything in their power to stop him from finding the truth. Ralph Fiennes and Rachel Weisz, in an Oscar winning role, deliver astounding performances!